Driving can seem like a daunting task when you are inexperienced. You are bombarded with information about blind spots, emergency stops and parallel parking, and you begin to wonder how anyone can drive comfortably. But driving is not as daunting as it first seems and is actually an exciting and rewarding experience. Practice does not have to end when the lesson is over; instead, practice driving on the roads with a friend or relative who is allowed to supervise you when you’re driving. Warley Hill has a small roundabout, perfect for practising your turns without fear or intimidation. If you are not comfortable practising on the road, try an empty car park, where you can perfect that tricky three-point turn and impress your instructor during your next lesson. Think of your theory test as the backbone of your driving lessons. It will teach you many things, including the Highway Code and the meaning of traffic signs. This is something that can get confusing, especially on Brentwood’s country roads, where the signs might be more obscure. Getting this done as soon as possible will make lessons much easier and also give you more confidence on the road. Do not feel pressured to take your test too soon. If you do not feel comfortable in your skill level, there is nothing wrong with taking a few more lessons to run over anything you are unsure of; after all, confidence is key when you are learning to drive. It is important to remember that you are still learning. Your driving instructor in Brentwood will expect you to make mistakes and ask questions when you are unsure. Make the most out of your lesson and ask anything, no matter how trivial it may seem to you; the instructor has probably been asked the same thing by students in the past. 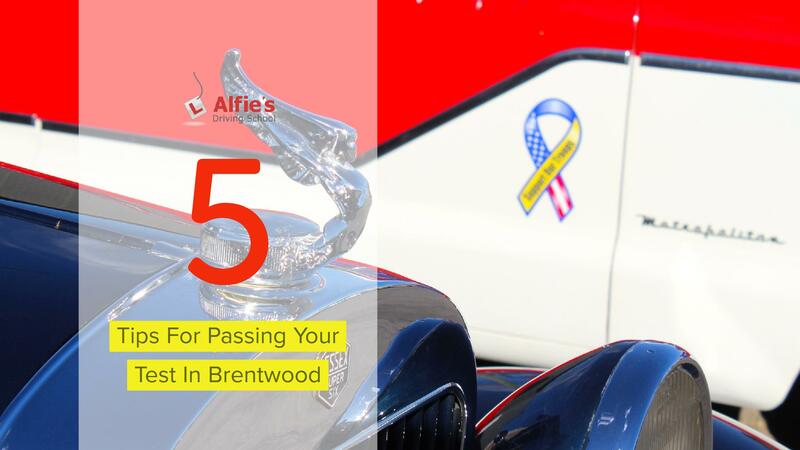 Perhaps the most important tip of all is to enjoy driving in Brentwood; it is a small town with a variety of driving routes to practice on in order to become a skilled and safe driver. It won’t be long until you can get rid of those ‘L’ plates, so enjoy the journey. If you’re looking for more tips on driving in Brentwood or want to find a reliable, friendly driving instructor in the area, get in touch with Alfie’s Driving School today.